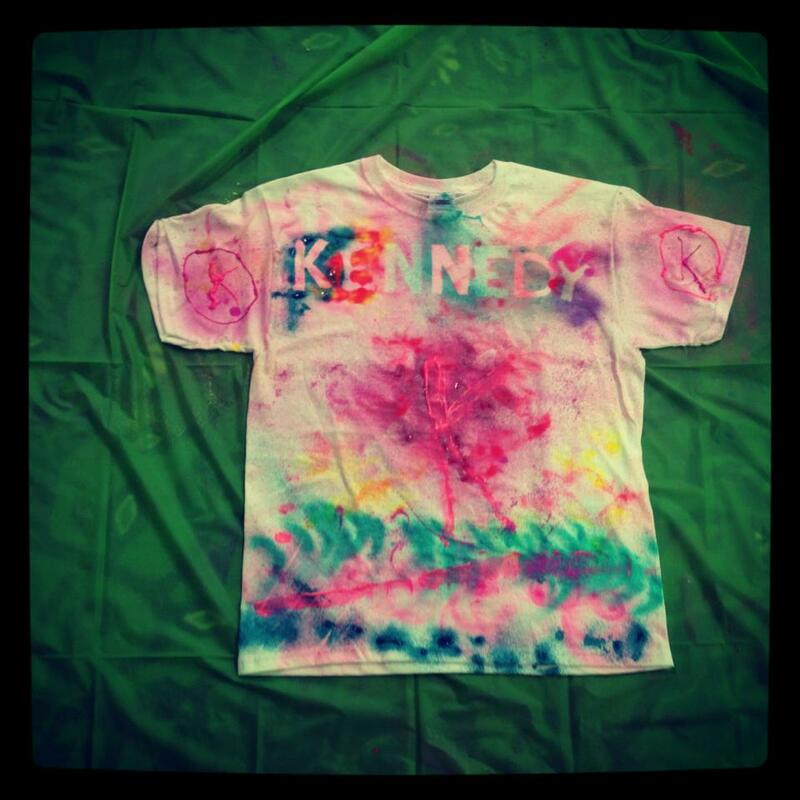 This colorful design by Kennedy from a few years ago was done with Tulip Fabric Sprays instead of the usual tie dye we did in my camps. The benefit of this technique is the kids can take home a dry shirt (and even wear it!) at the end of the day instead of a dripping bag of tie dye that will stain everything. This is a plus when families are staying in resort rooms and suites!